Music Tech Connect is taking a summer break! We’ve had so much fun and learned even more over these last 15 weeks! Moving forward with new alliances and partners, we will be taking the show on the road in a few select Kentucky towns during the summer months. Stay tuned for updates, private event announcements and new schedules in the fall! 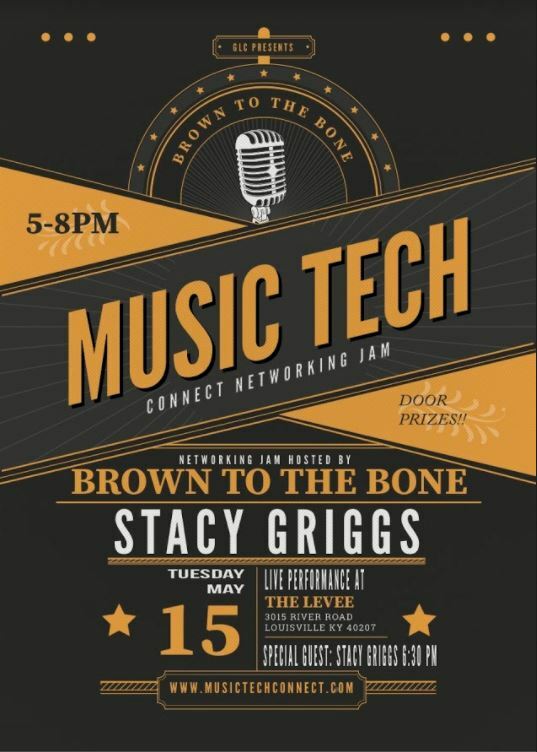 Music Tech Connects – join us for fun, new friends, great food and music Tuesday at The Levee – 3015 River Road, Louisville, KY. This Tuesday, Woodrow on the Radio will be hosting our very first Music Tech Trivia night! He’ll be spinning wax all night from 6PM till 10PM. For those of you who don’t know Woodrow. 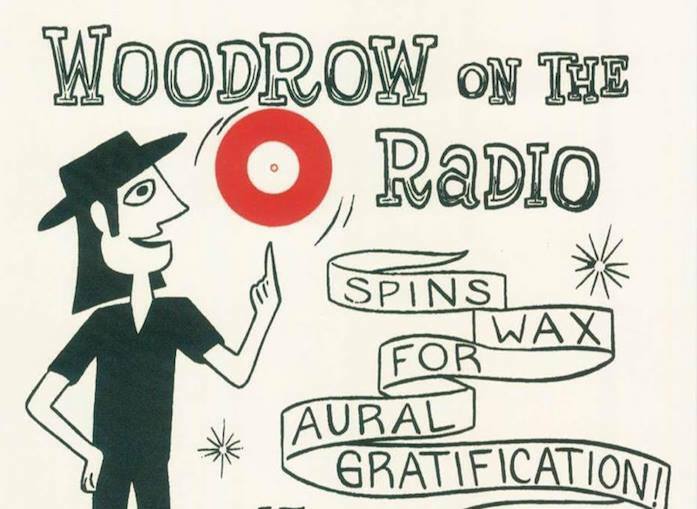 He has hosted Woody’s Roadhouse on WFPK for over 20 years now. He’s a well known Louisville favorite, who shares all of the greatest moments in music via vinyl singles. $50 Levee gift card to winning team! Stacy Griggs, CEO, El Toro is our guest speaker for Music Tech Connect. We officially met when he attended a Music Tech event in March, but i’ve been knowing OF Stacy for a while. He is hip to the idea of connecting our Tech Community around music and is spreading the word. Stacy doesn’t play an instrument but he loves music and has recognized that many of his techie friends, are indeed musicians as well. 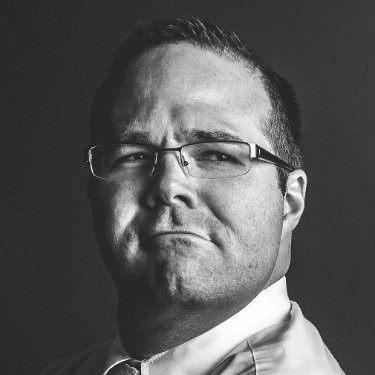 If you didn’t catch his talk at DisruptHR – it’s a great one! Does the World Still Need HR? SuperMan / Human Resources / barefoot employees … The world has changed … have you? Stacy is not only a leader in our Tech community, but a SERVANT leader as well. When he is not traveling, you’ll most likely find him running a call with the Volunteer Fire Department, making about 150 runs a year. How he keeps up with travels, volunteering and growing El Toro is beyond me. Maybe he can share some of his time management secrets with us! El Toro was named the 13th fastest growing tech company in North America in 2017. They are doing some pretty innovative work and are looking for brilliant minds who want to make a difference. With partners like CodeLouisville, they have recently hired their 80th employee and growth continues with sights on an addition of 40-50 more employees through 2018. Stacy has led three different organizations that were recognized by Inc. Magazine on the Inc. 500 list as the fastest growing privately-held companies in the United States. He was named a member of Emerging Entrepreneurs Class of 2017, and El Toro was named by EDJ Analytics as one of 5 startups to watch for 2018. Mike Meyer, Infrastructure Architect for HPE’s Nimble Storage will be our guest Tuesday May 8th. Mike is a fellow musician and Genius Loves Company favorite. Mike is a Sr. Storage Architect for HPE’s Nimble Storage Solutions. He has recently found himself traveling around the country discussing IOT and HyperConverged systems. Being a Musician and fellow Techie he thought it was a perfect opportunity to share his knowledge and experience with our Music Tech community. Mike’s has abundant creativity. In his spare time, he and fellow coworkers have created a hilarious series called “The IT Shop” where Mike is responsible for most of the writing, behind the scenes and video editing work. The show was birthed out of their mutual distaste for power-point presentations. On a side note, we will be adding a Techie Trivia element to our Tuesday events, so be sure to bring your Genius hat. Winners get to hold the Techie Trophy for ONE week. High honors will go to the individual/team/company with the most WINS for 2018. Mike is a pretty multidimensional dude and we’re excited for our friends to meet him. 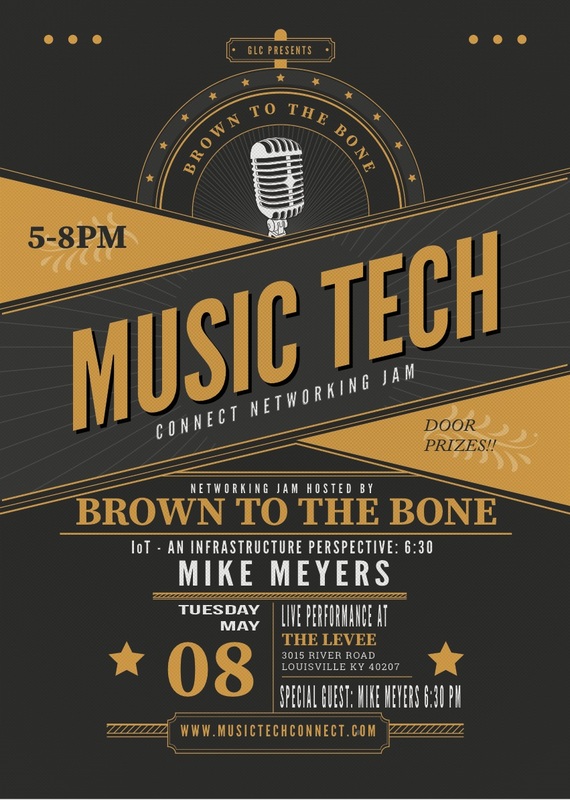 Being that the guitar is one of his greatest passions, we’ve asked him to sit and do a song or two with Brown To The Bone … mark your calendar’s next week for Music Tech Connect! As we roll into the 14th week of Music Tech, we hope you will join us and be inspired this Tuesday. There are so many Phenomenal Women in the tech space here in Louisville, and we want their stories to be heard. So from now on, the last Tuesday of every month we will be highlighting the stories of Phenomenal Women in Technology. Lesa Seibert had to reschedule for 6/26/18, so she introduced us to Cyndi Masters. We love the way the Universe works, especially when we ALLOW ourselves to be OK, when things don’t go as planned. Being introduced to Cyndi was serendipitous. Her story is amazing and has only strengthened our resolve moving forward. 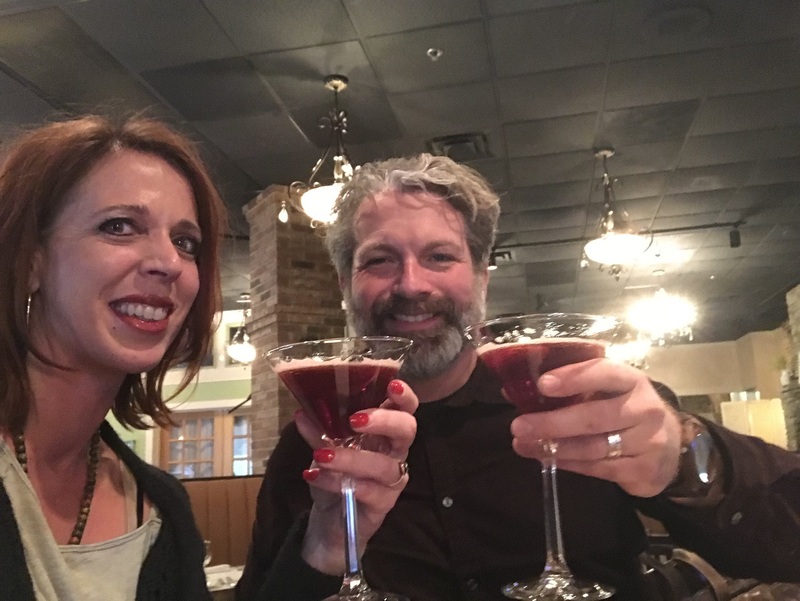 Not to spoil the story, but Cyndi persevered through a devastating motorcycle accident 17 years ago that not only nearly killed her, left her needing 22 surgeries, seizures, cancer, a broken neck. Just a few obstacles which prevented her from working. She lost everything except her WILL to move forward. Her story of freedom through technology is simply inspiring, and one you won’t want to miss! A well traveled speaker and philanthropist who loves music. Cyndi sits on 4 non profit boards and has a passion for giving back to disadvantaged kids and making a difference in other peoples lives. We look forward to Cyndi’s talk Tuesday at 630 PM. 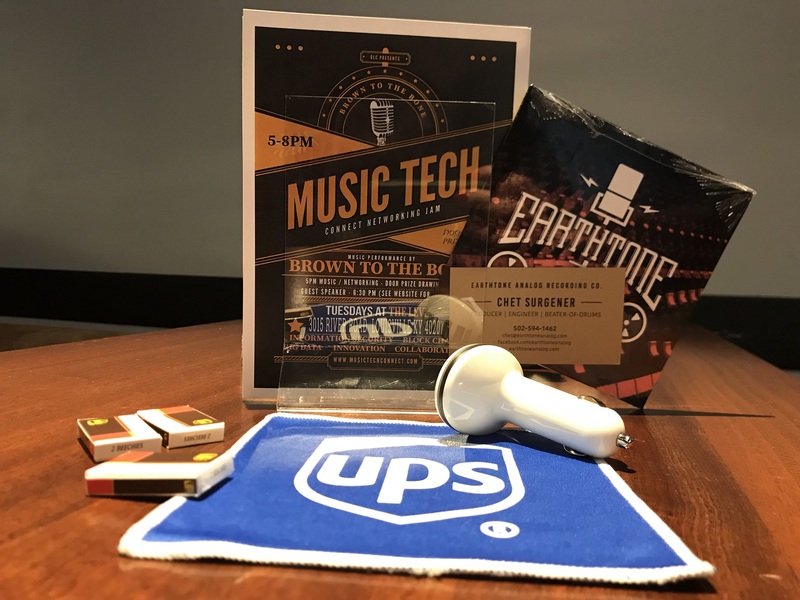 This week we are in for a treat as the first Music Tech corporate MASH-UP is taking place with Cummins Engine and UPS!!! This lineup is a mixture of Engineers and Tech workers with a high passion for music. We were blown away with the musicianship and talent of these guys. The band got together on Wednesday for our ONE AND ONLY practice. 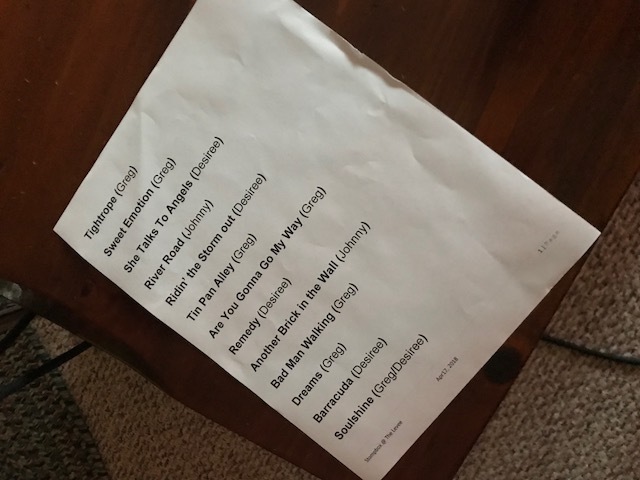 It’s a rare occasion when strangers can get together and run a set list from start to finish, with only one or two stops, and excellent execution. 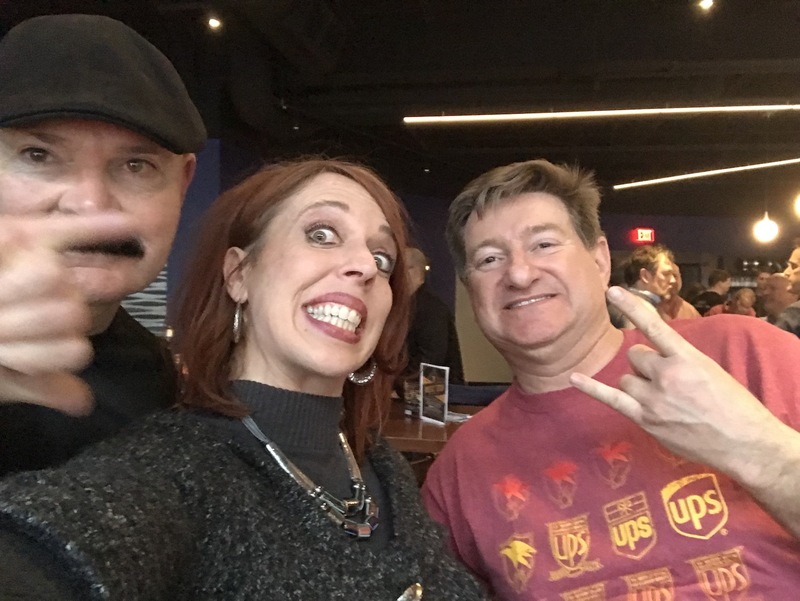 Well, we say strangers, turns out Greg Gaddis (UPS) has been knowing these guys since grade school, it was Desiree who was the stranger. We will be running the set list pasted below. Lots of fun!!! After the music we are looking forward to our guest, David Carty from Data Strategy sharing Trends in Collaboration. David is also a musician with a strong Infrastructure Architecture background working in the collaboration space for the last several years. Data Strategy has been a tremendous partner with Music Tech and are looking to put together their own band and record a song or two! Stay tuned more to come from the Data Strategy Band! 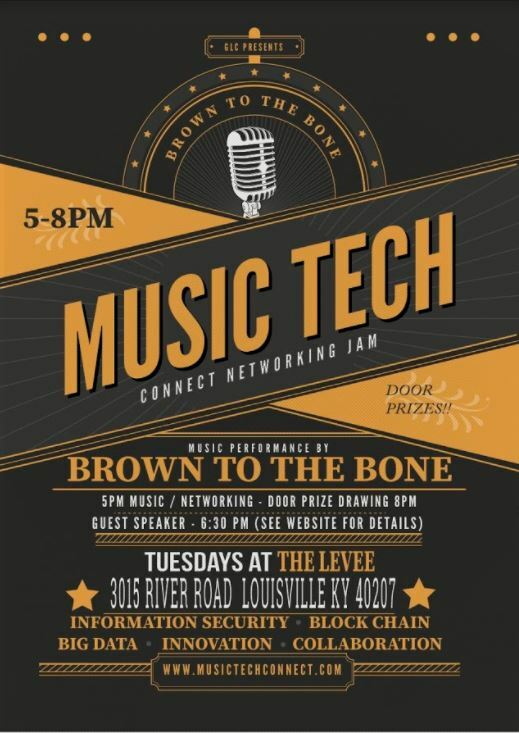 See you Tuesday at The Levee 5-8 PM! This Tuesday Music Tech Connect welcomes Ankur Gopal CEO, Interapt. We were introduced to Ankur through fellow music lover, Stacy Griggs, CEO of El Toro. As a recruiter, it’s exciting to hear what makes people tick. We found an interesting interview of Ankur on Business First from a few years ago. It was very personal and touched on some of the topics we always ask when recruiting for clients. It’s easy to see Ankur as a successful business man. It’s his experiences, preferences and passions that were the ingredients to his success. Of interest to our topic, Ankur loves music. His favorite song is New World Man by Rush … says it probably defines him best. Rusty Cage by Soundgarden is probably a close second. He used to perform improv and auditioned for movies. But like many talented people with big dreams, there came a time when he had to make a choice between a Business MBA or being a full time entertainer. This is what makes Music Tech so important to us. This is a platform for like minded people to get together around a common love for Music. Ankur’s dreams are not unlike many of us … he wants to make a big impact, to see others rise, create sustainable practices and companies that leave our earth better than we found it, and he wants to spend quality time with people he cares about. Looking forward to hearing Ankur’s story. Tuesday March 27th Genius Loves Company favorite Copper & Kings, will be featured discussing “The Science of Spirits”. Jeremy Irvin will be sharing the technology behind the brandy and maybe a little about his music too. He is a guitarist and sometimes, bass player. Copper & Kings family has LOTS of musical talent and we look forward to sharing the stage with them sometime soon! We have been loving this brandy ever since we herd Joe’s story. 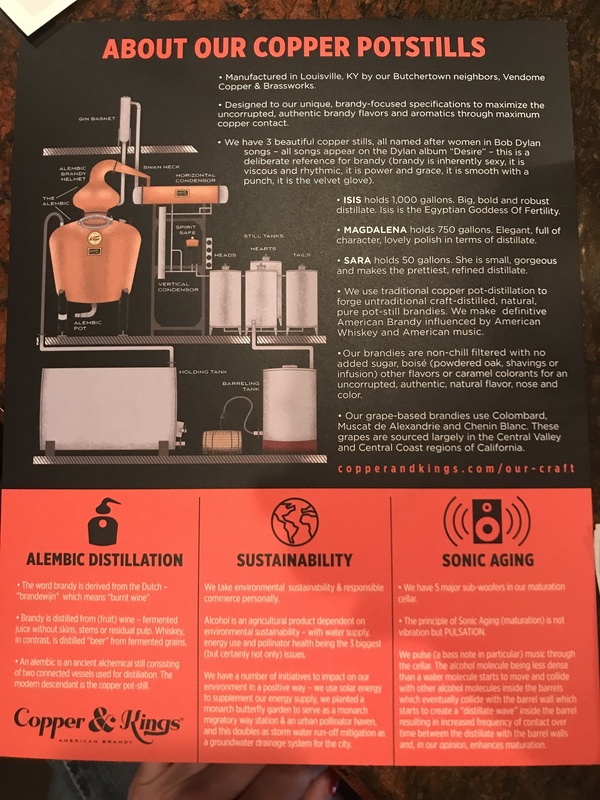 And again, being a Nikola Tesla freak., when we heard that Copper & Kings brandy was distilled by SOUND in copper kettles … we knew right away that we HAD to meet them. So next week is yet another dream coming true. The Crosley Radios Featured Artist Warren Ray, will showcasing his original Tune, “Tangerine Durango” live with The Boxwine Prophets. It’s so good, Copper & Kings is even making a Specialty Drink in the song’s honor: Tangerine Durango. March 20th 2018 – Does Music Tech Really Connect? Ancient Astronaut Theorists Say YES! This Tuesday’s Music Tech Connect is going to feature few extra special guests who represent THE MUSIC TECH CONNECT. We will have an Applications Architect, a Business Intelligence Data Architect, an Information Security and Infrastructure Architect. I’ve asked them all to bring their instrument. It will be a round table discussion and a little show and tell, as we explore the theory a little further. Answering the question: Does Music Tech Really Connect? And why WE believe this initiative is valuable and worthwhile. For those who can stay for the Earthtone Showcase, you are in for a HUGE treat! Earl Guthrie & The Boxwine Prophets are going to play some great original tunes mixed in with a few covers. If you like Little Feat, you won’t want to miss this! If you have friends, co-workers or bosses who are Musicians. Please invite them to join us this Tuesday night. For those who don’t know, we are providing opportunities for ALL musicians to get connected. 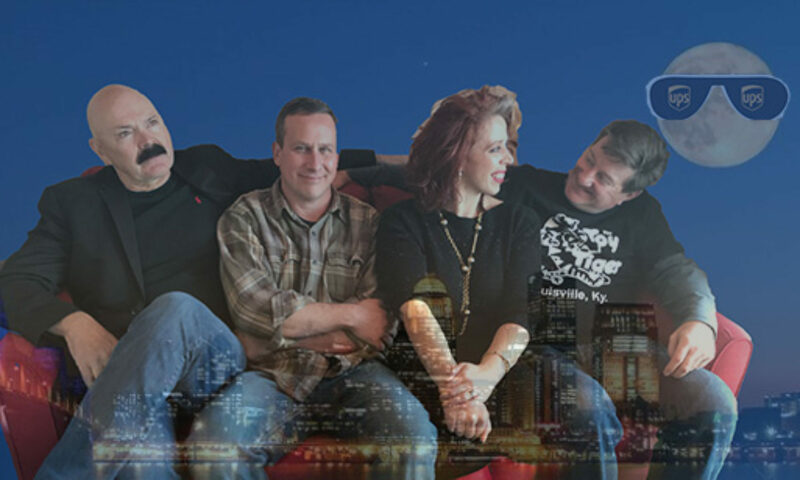 Tuesday Nights at the Levee supports TWO musical groups: Those with corporate careers who love music and those who have chosen music careers over corporate careers. 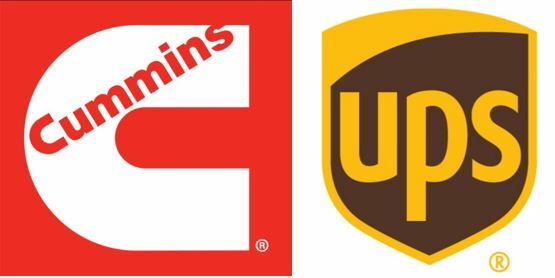 Every once in a while, the two overlap and it’s truly magical experience. It’s a melting pot of talent, and an evening that every musician and music LOVER in Greater Louisville should be aware of. 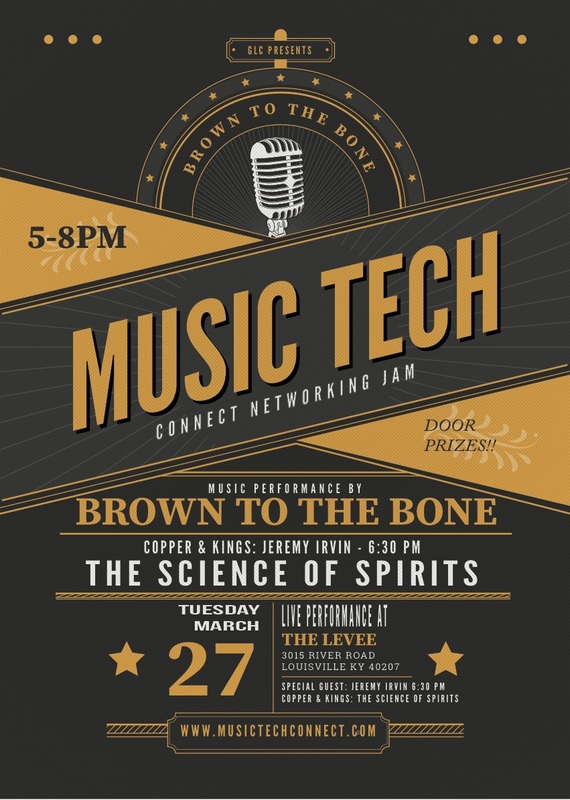 Next week’s Music Tech Connect, Genius Loves Company guest is Joe Heron from Copper & Kings, discussing “The Science of Spirits”. We have been loving this brandy ever since we herd Joe’s story. And again, being a Nikola Tesla freak., when we heard that Copper & Kings brandy was distilled by SOUND in copper kettles … we knew right away that we HAD to meet him. So next week is yet another dream coming true. The Featured Earthtone Artist is Warren Ray, showcasing his original Tune, “Tangerine Durango” live with The Boxwine Prophets. It’s so good, Copper & Kings is even making a Specialty Drink in the song’s honor: Tangerine Durango. See you Tuesday for Music Tech Connect 5-8PM!